The Urivi Vikram Charitable Trust—an NGO, working towards the adolescent and women issues organized a free Health Camp in Kapashera on 7th March, 2013 where about 300 out-patients were benefitted. 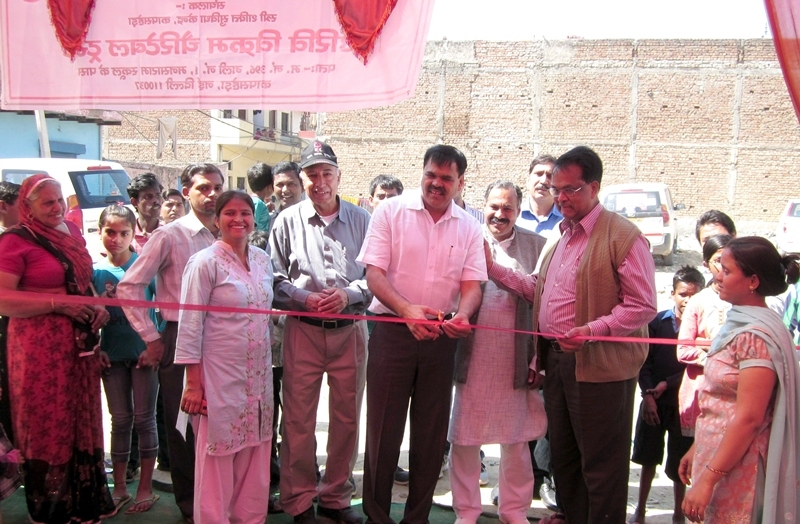 The Health Camp was inaugurated by Shri Sat Prakash Rana, M.L.A., Bijwasan when Dr. U.N.B.Rao, IPS (Retd. ), Founder Chairman of Urivi Vikram Charitable Trust, Dwarka, Shri Deepak Bharatwal, Director (Admin. ), Mrs. Harita Yadav, Project Coordinator, GRC, Stree Shakti Suvidha Kendra, Kapashera and other eminent personalities of Kapashera village were present. Shri S.P.Rana, inaugurating the Health Camp, described it as another mission of the Trust, which was involved in empowerment of adolescents and women. He expressed his happiness over the efforts made by the Trust in social upliftment of the poor masses by providing different vocational courses, Non-formal Education through its Gender Resource Centre, which was inaugurated by Smt. Sheila Dikshit, Chief Minister, Delhi on 2nd November, 2012 at Kapashera. Free medicines were distributed to the patients, which were prescribed by four Doctors – Gynecologist, Dentist, General Physician and Orthopaedics, who gave their services for the Health Camp. Dr. U.N.B.Rao, IPS (Retd. ), who was present for most of the time at the Camp, expressed his satisfaction and indicated that more such camps will be organized in coming months for wellbeing of the people of the area.